Finding no credit car loans or bad credit auto loans near Tucson or Phoenix, AZ can be tough, but the team at Cactus Jack’s is here to help you out. Whether you’ve had a bankruptcy, repossession, or just a stint of bad luck, we’ll help you get back on the road today! 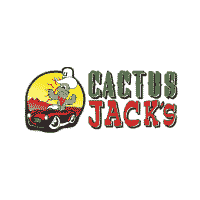 You don’t have to have a big chunk of cash saved up in order to get on the road in Phoenix, AZ, because at Cactus Jack’s you can get behind the wheel with just a $500 down payment. We have a huge selection of used trucks, sedans, SUVS, and more available near Mesa, AZ right now, including a rotating list of weekly specials! While you’re here, check out our blog on whether you should finance a car through a dealer or a bank, as well as how you can improve your credit score with a car loan, and our guide on how good credit and bad credit affect the car buying process. Also, be sure to learn about how our in-house financing can help you, as well as what sets Cactus Jack’s apart from the competition.